Yes, I’m in a wheelchair. I was born with Cerebral Palsy, and I’ve had to overcome obstacles my entire life. My most difficult obstacle? Other people’s perception of what I can and can’t do. I’ve learned that nothing is impossible, and as your Realtor I want to assure you that my tenacity and inability to accept limitations means you win! My job is to remove as much of your stress when buying or selling a home as possible! 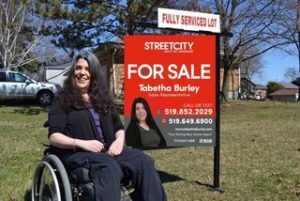 WHO NEEDS A REALTOR WITH BARRIER-FREE ACCESS EXPERTISE?